Brakes are one of the most important components on your vehicle. Is the 'Check Brakes' light on? Are the brakes making noise? Are there vibrations or pulsations when the vehicle stops? 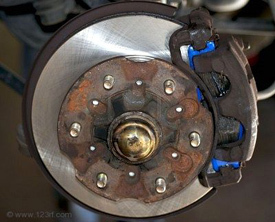 Brake problems can be serious, and waiting can often create larger, more expensive repairs. Whatever your vehicle's brake system needs, Excellent Auto Care & Tire can perform the service and help put you safely back on the road. Our multi-point precision brake inspection provides a clear picture of what you need to extend the life of your vehicle. With ASE certified professionals on staff, EAC uses the best in technology and quality parts to maintain and repair the brakes on your vehicle based on manufacturer's specifications.